They’ve been bringing the finest in cutting-edge dance music to Sheffield for almost two decades now, but don’t for a moment think that The Tuesday Club will be slowing down in their old age. Project Manager Ashley White told Exposed about how they’re planning on celebrating hitting the big 2-0 in style. We’ve just seen another big year for TTC. Which event stands out for you personally? We had some brilliant TTC events in 2017, so it’s hard to say which the best one was! In my opinion, Daphni was probably my favourite. The variety of music he played and the vibe was just incredible, plus Dan is such a nice guy to work with. Horse Meat Disco and The Heatwave are also pretty high up the list. With both of those shows, the energy of the crowd is what sets them apart from the rest. My Nu Leng killed it last month. Who else should we be looking forward to this semester? My Nu Leng always kill it, which is why we get them back every year! For fans of My Nu Leng, we have a huge Crucast show on 27 February with Skepsis, Darkzy, Notion, Mr.Virgo, Bru-C and more – that will be mental! We’re also really proud to be hosting the Sheffield date of David Rodigan’s ‘40th Anniversary’ tour in March – he’s a true living legend! There are a couple of huge bookings we’re sitting on right now which, unfortunately, I can’t give away to you… yet. TTC will be celebrating its 20th birthday this year, the old bugger. I imagine we’ll be partying accordingly? Plans are already in the pipeline to make this 20th Birthday season our biggest yet, with two massive birthday events currently planned featuring some of our favourite guests from the past 20 years. Two decades is a huge milestone, so we’re pulling out all the stops to make sure it’s the most interesting and diverse line-up possible. TTC has hosted DJs from every corner of dance music over the last few years. If you could bring one act back who would it be? One of the most legendary bookings has to be when Flying Lotus played Room 2 many moons ago. This was before my time in Sheffield, so I would love to see him make a return to TTC! From more recent years it would have to be Kaytranada. He doesn’t play in the UK very often and hopefully next time he is over here we can get him back. Bonobo is another obvious choice. He’s played TTC several times over the years and it’s incredible to see how far he’s gone since those early days. I think the guy who does the bookings is probably sick of me asking but who knows? Stranger things have happened! What is it that keeps people coming back to Tuesday Club every week? I think the diversity of the line-ups is what makes people want to come back. If we were to book just drum ‘n’ bass or garage every week I think people would quickly get bored. The lighting and the visuals also help, as our student volunteer tech crew (TSC) put so much effort into making the night look amazing. The lighting rig will always be completely different from one week to the next, with a setup that complements the style of music. On top of all that, our brilliant resident DJ, Andy H, is what joins the dots between every night – no matter what line-up you put him on, he always kills it! What do you think are the main benefits and pitfalls of putting on a big night week in, week out? The main benefits are that you are able to book a diverse series of events, as I mentioned before, and we don’t have to stick to any particular genre of music from week to week. However, it also makes it very difficult to book line-ups without some repetition. That being said, it’s really enjoyable to see an artist who you book year on year going from strength to strength. 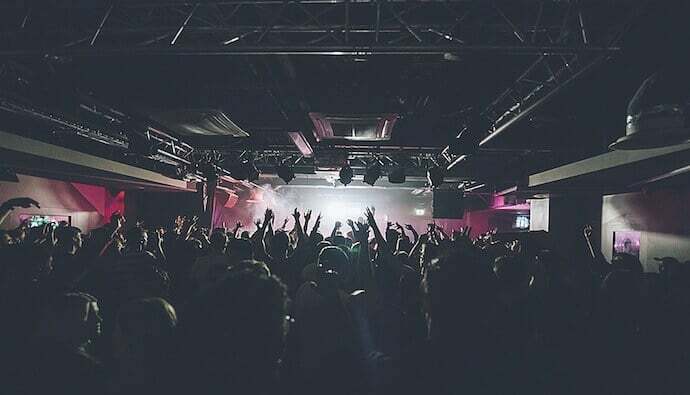 Some of the people who we have booked the most over the years since being relative unknowns are now some of the biggest artists in the game – Toddla T, Skream, Chase & Status, to name a few. It also helps that pound for pound Foundry and Fusion is one of the best venues in Sheffield. Obviously, I’m biased here – but I have to agree! Artists always comment on the low ceilings as one of the main reasons that gives the venue such a good vibe; the other being the incredible crowds. The fact that it is in the basement of a Students’ Union puts some people off who have never been, but it really does have to be seen, heard and experience to be believed. Head over to The Tuesday Club website for upcoming events.